Blizzard unveiled the next expansion for Hearthstone today, bringing with it a series of mechanical adjustments and a massive overhaul to deck-building options in April 2017. Dubbed “Journey To Un’Goro” and slated for an April release, the set will be prehistorically themed, filled with dinosaurs and primal elements. Some of the more intriguing cards already shown for it include a phoenix called Pyros that returns to your hand after each death or a volcano that douses the board’s minions in lava. Some cards can also “adapt,” or select from three random bonuses to buff up when played, like extra attack or taunt. 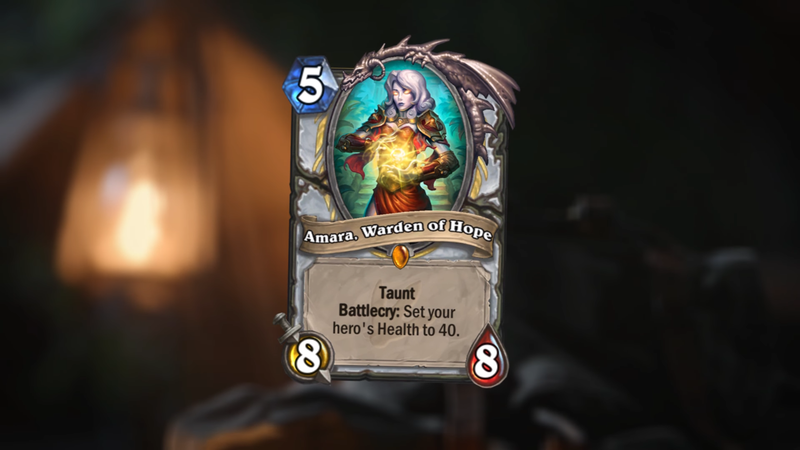 The most significant overhaul is the new quest cards, legendary one-mana cards that appear in your opening hand. Playing these will set a quest for you to complete, like “play seven Deathrattle minions.” Once you’ve satisfied the requirements, you’ll be given a card that provides a massive boon, like setting your hero’s health to 40 (potentially healing off massive damage and increasing it past the standard 30). Whether this will quell some of the unrest that’s been growing over the past few months in the Hearthstone scene is uncertain, but the 135-card expansion can certainly try.